Earlier this week, a pathetic, evil individual shot and killed nine people in a church in Charleston, South Carolina. 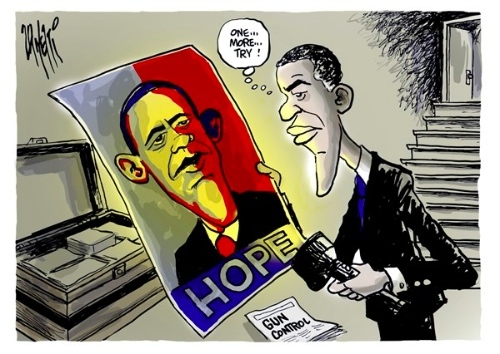 Within hours of the shooting, while CNN and other "news" outlets went into their usual frenzy of anti firearms indignation and phony concern, President Barack Obama and Presidential candidate Hilary Clinton stepped up to the mike offering their condolences AND exploiting the situation for their agendas and garnering votes. So here's what's going on right now in the US Media: ideological subversion. There is a pattern and a method at work here, and it's a pattern and method we need to educate yourselves about. It's no secret that the mass media (with the exception of Fox News, regardless of your feelings toward that network) is pushing for gun control. 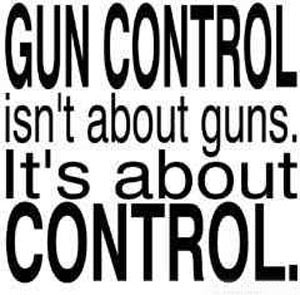 The majority of Americans are opposed to gun control, and the Left cannot stand this fact. We are the majority. So what exactly is the mass media doing and how are they doing it? There's a simple answer to this question. The various news networks and publications are telling Americans what and how to think. 1. Build an emotional shitstorm through sensationalism and bombarding us with constant reminders of the Sandy Hook Massacre, even though there is plenty of other news. 2. Present the Left's argument for gun control before the Left's politicians do. This gives the appearance of a grassroots movement. 3. Build a false narrative. For example: Evil child-killing assault weapons with glock clips, and shoulder things that go up are finding their way into the hands of murderers with ease, and are triggering gun crimes. 4. Demonize and ridicule the NRA, GOA, Republican Party, Libertarians, and anyone else who opposes gun control. Very Alinskyite. 6. Present gun control as the only solution to the problem of violence. 7. Claim that gun control is "progress" and that the Constitution is outdated and requires revisions. Remember folks, in spite of what CNN et al thinks, you have minds of your own. Use them. Be sure to check out the pro-gun organisation links in the I Second the Motion section on the right side of this page. Guns, Polls & Statistics: Off the Top of My Head here. *Arm Flail* Guns! *Arm Flail* here. When Fun Is Outlawed here. Gun Control: It's Not "For the Children" here. Of Dancing On the Bodies & Crocodile Tears here. 4chan website here. Warning: CONTAINS CONTENT INAPPROPRIATE FOR CHILDREN.